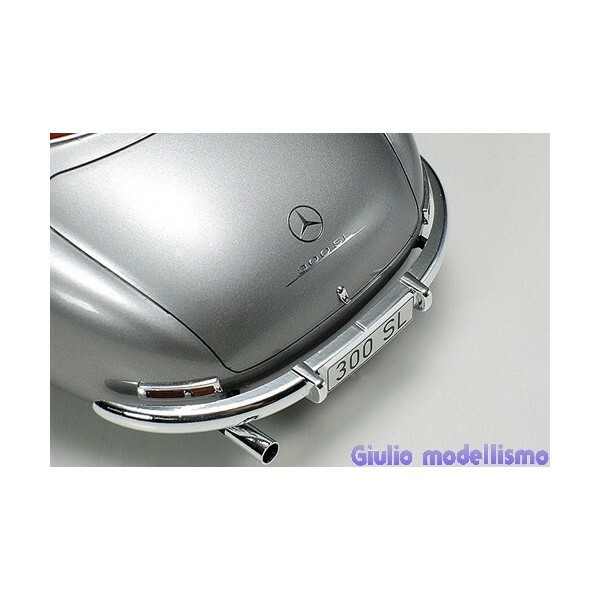 Splendida riproduzione in scatola di montaggio scala 1:24 della Mercedes Benz 300SL. 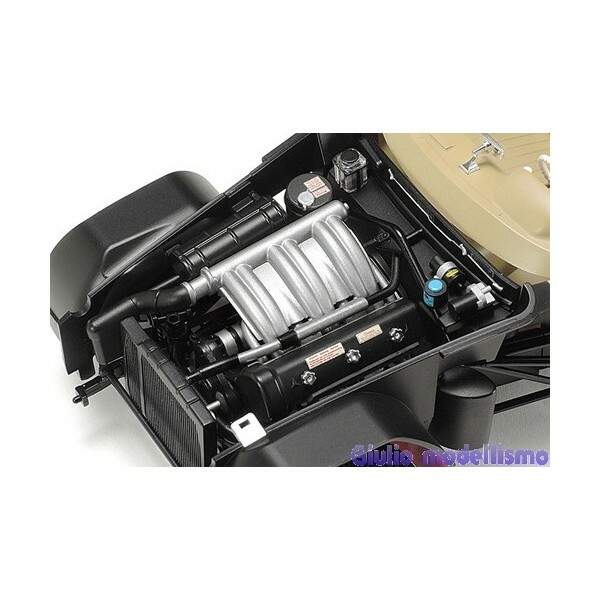 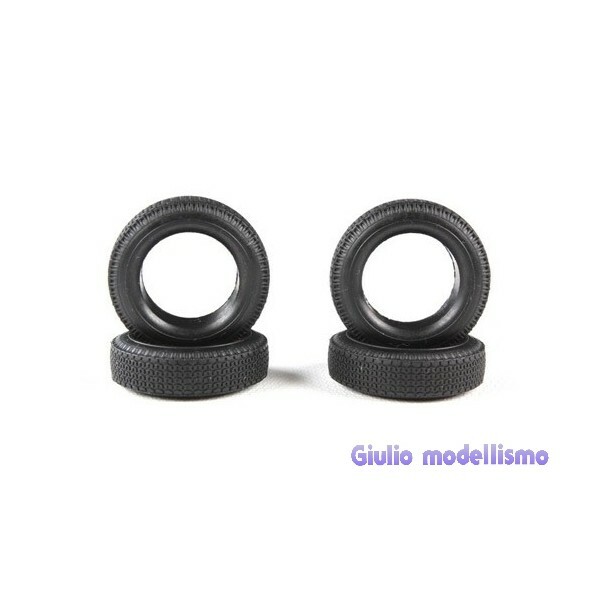 Il modello è fedelmente riprodotto nei minimi particolari incluso il telaio tubolare ed i dettagli del motore. 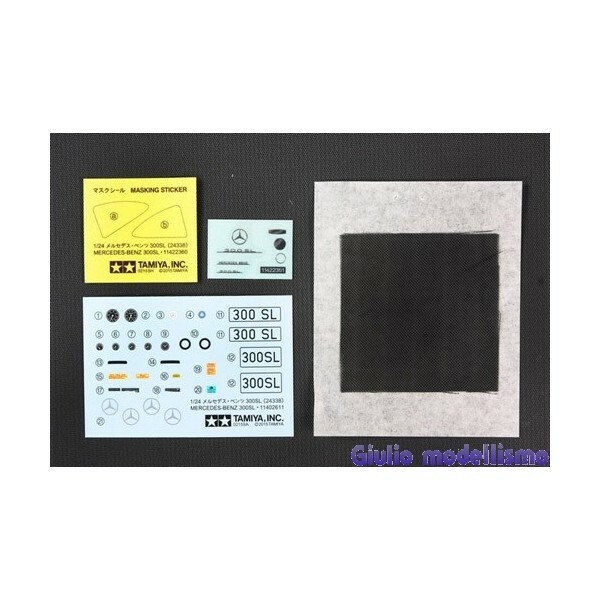 Il kit include metal transfer e mascherature. 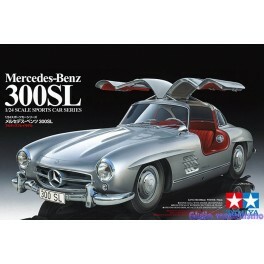 The Mercedes-Benz 300SL joins the 1/24 Sports Car Series as it is considered an all-time classic in the automotive world. 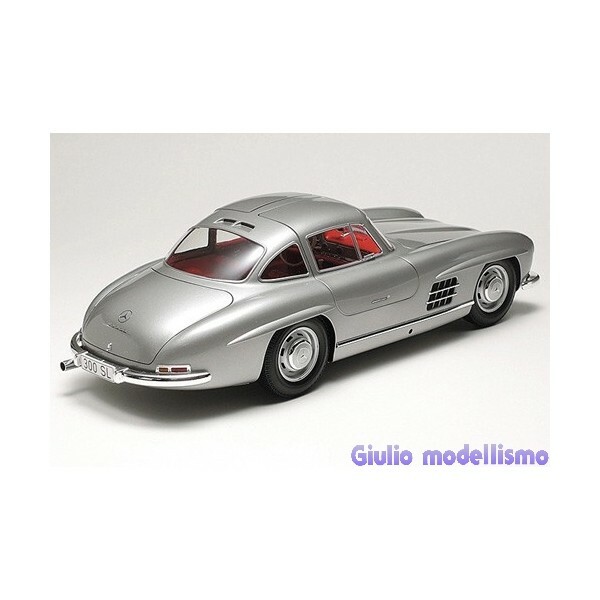 The real car began life as a prototype for the German motor giant’s works racing team, taking part in international races, and in 1954 a production version debuted at the International Motor Show in New York. 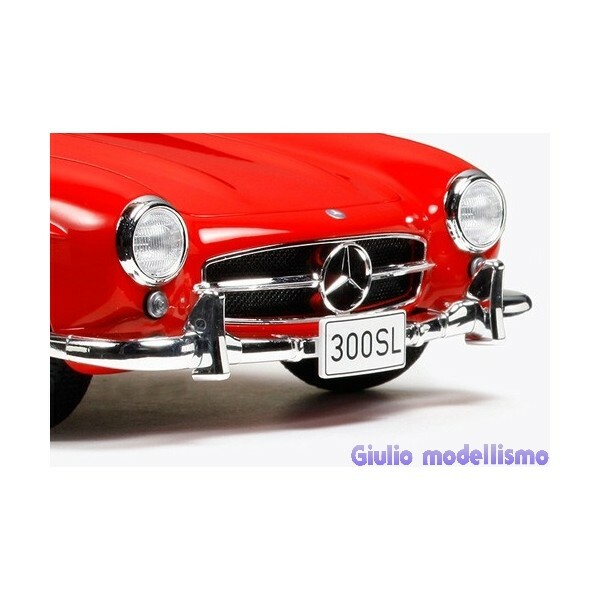 Despite nominal road car status the 300SL was still a very racy vehicle and proved popular, particularly in the United States. 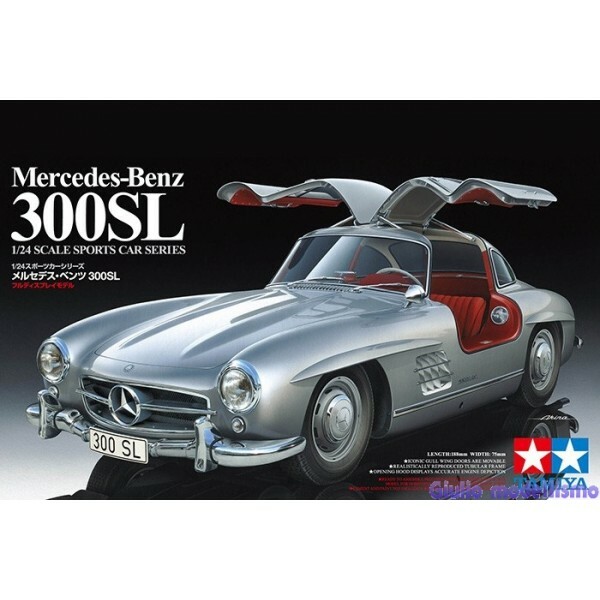 It possessed a 3-liter engine (hence the 300 in its name), and a highly lightweight body (SL stands for Sport Leicht, lit. 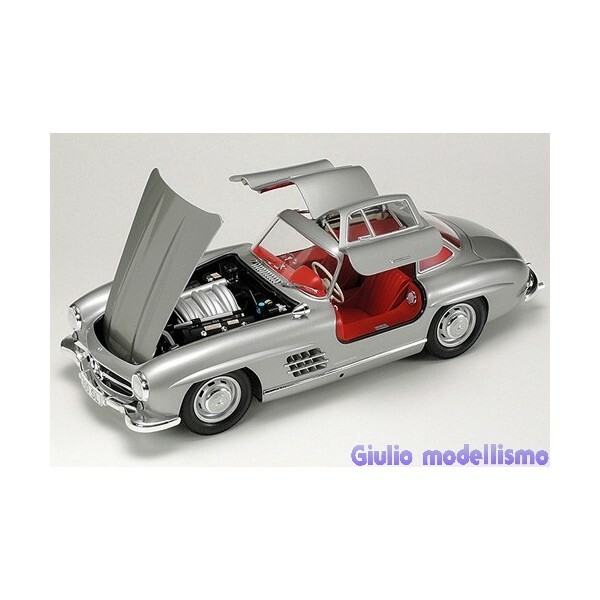 “light sports”) with striking gull wing doors. 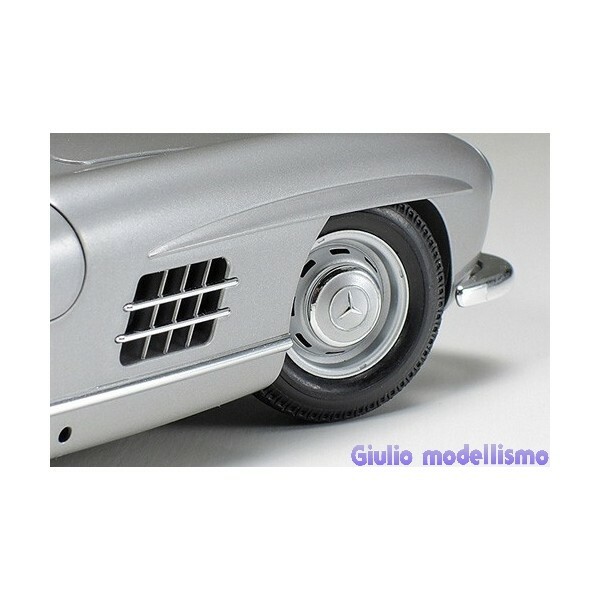 1,400 cars were produced by the end of its production run in May 1957. 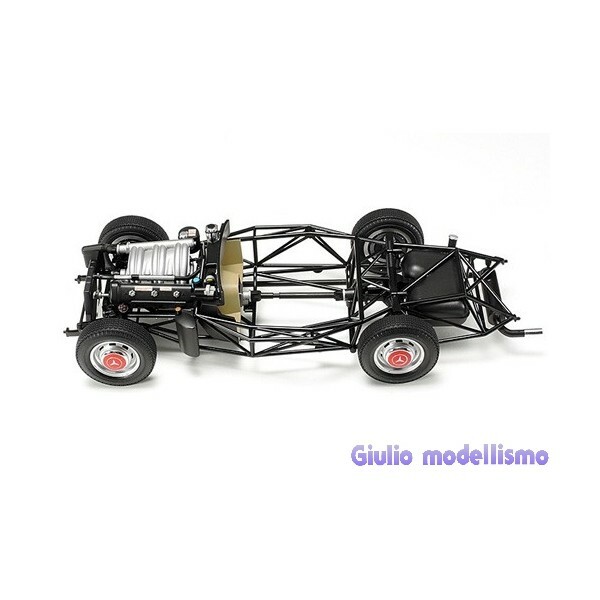 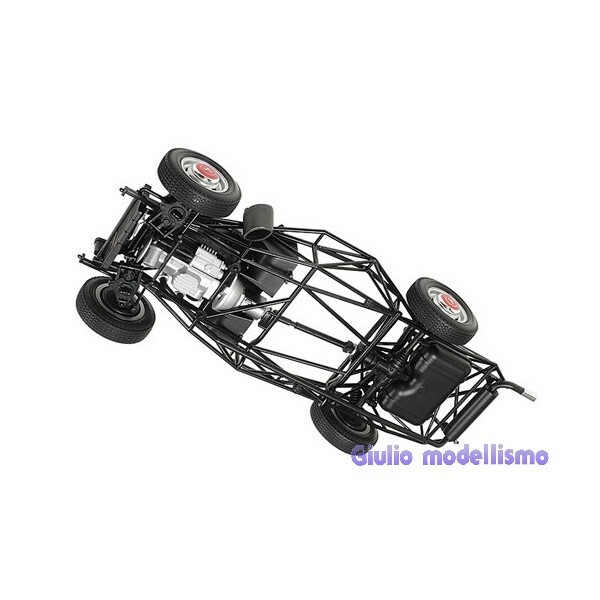 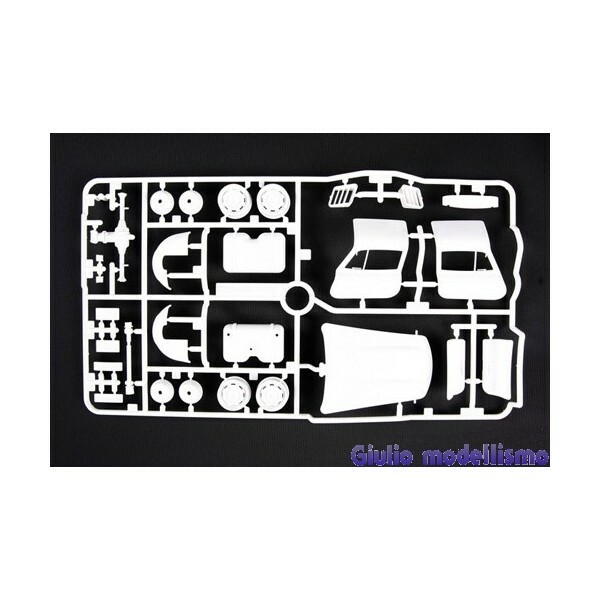 The Tamiya model kit captures the real life subject down to the working Gull-Wing doors and complex tubular space frame.